You’ve heard the stereotype: the British lack majorly in the food department. 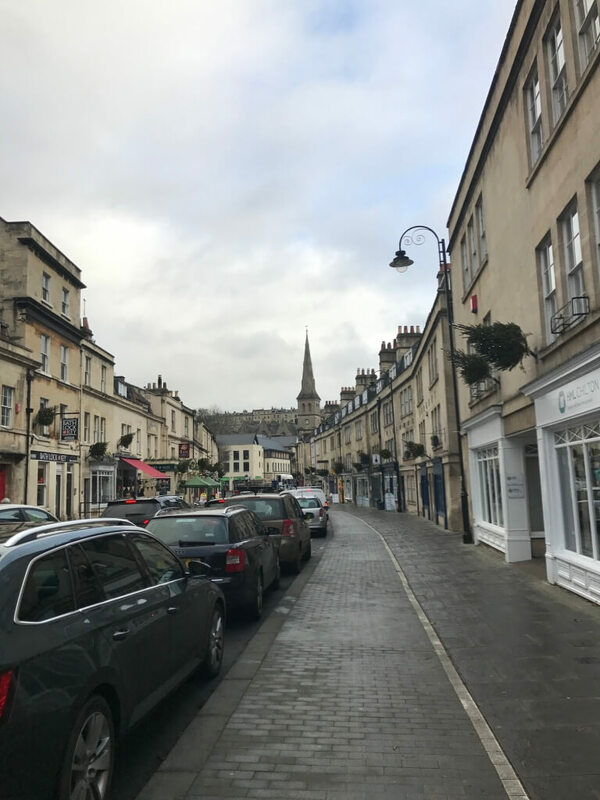 When I told people that I was planning on studying abroad in Bath, England those who had not yet traveled to this European city questioned the quality of British food, comparing it to that found in countries like France or Italy. It turns out, Bath proved all of these doubters wrong. 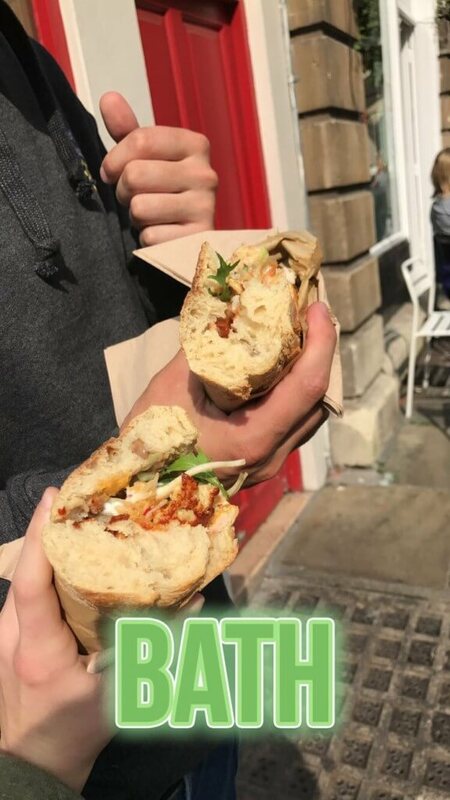 Aside from the delicious meals of fish and chips and meat-pies, Bath serves as a hub for European food, offering a variety of piquant pleasures and international cuisine that transcends that found in the states. 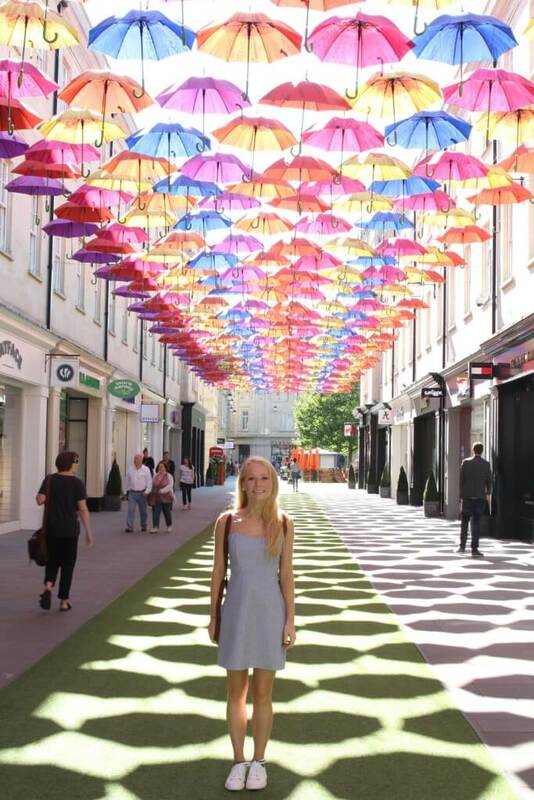 As a foodie, I scoured the city for the best places to eat during my semester abroad in Bath. Explore these 10 restaurants in Bath for hungry food-lovers in the UK. If the queue is long, wait. You’ll still be served quickly and, more importantly, it will be so worth it.This grab-and-go restaurant offers sensational Indian street food. My mouth still waters thinking about the onion bhaji wraps and handmade samosas that the smiling chefs (or rather, artists) create right in front of your eyes. Take your warm, aromatic meal outside and enjoy every single flavorful bite on benches in the middle of the square, providing you a perfect point from which to observe the bustling afternoon shoppers. 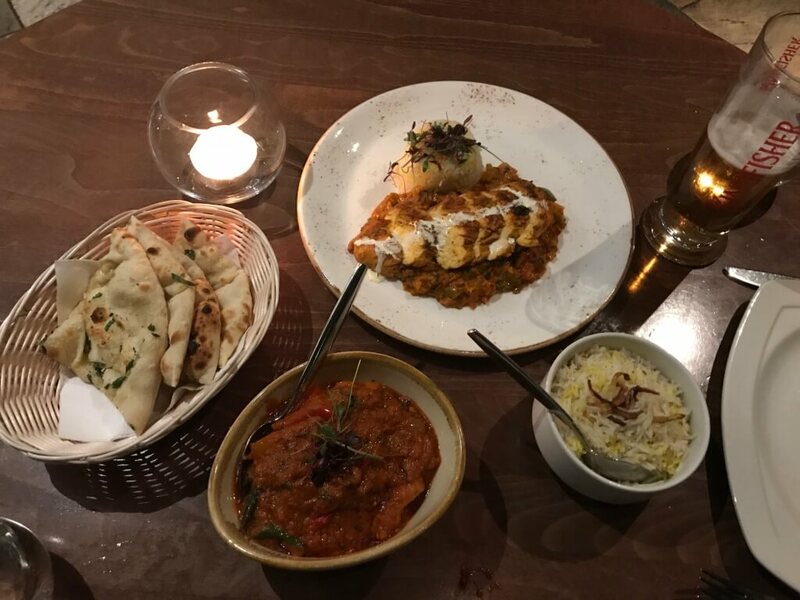 Indian Temptation boasts the best vegan food in Bath (and not in the annoying way your vegan friends do). As an omnivore myself, I have to say, the Indian food served up to me at this restaurant defied all of my expectations of vegan and vegetarian cuisine. I definitely recommend trying the Masala Dosa, a fermented crepe stuffed generously with seasoned potatoes and served up with coconut chutney and sambhar. This traditional South Indian dish was soft, savory and flavorful. 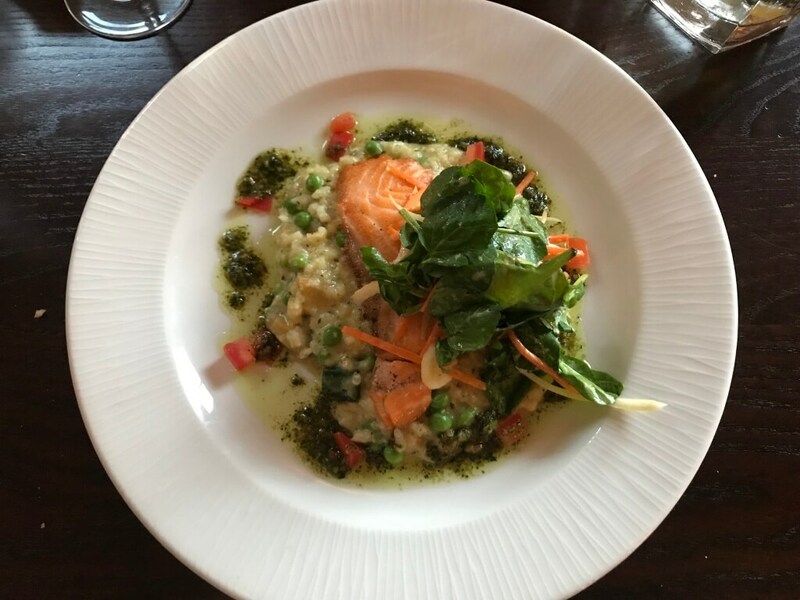 Although we ordered our delicious meal as take-out from Deliveroo, friends that visited the restaurant in person claimed that the service and ambience was fabulous. Yak Yeti Yak’s underground entrance makes it easy to miss, but to do so would be a terrible mistake. “Yak Yeti Yak is a hidden gem, and I was lucky to stumble upon it. 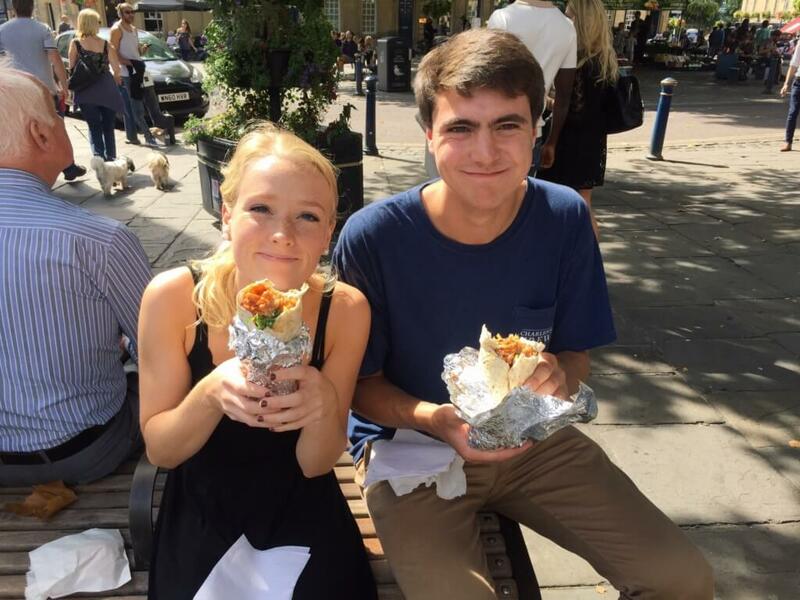 The quiet atmosphere and authentic Nepalese decorations makes the entire experience feel like a secret escape, like you’ve been teleported to the foot of the Himalayas and are set to be taken on journey through the exciting peaks of spicy Nepalese cuisine,” William and Mary rising senior Blake Hani said. If Yak Yeti Yak is a journey, then the waiters and waitresses are the best travel guides out there. Simply tell them your taste preferences, ask for a recommendation and voila: they will serve you the best thing you’ve ever dug your fork into, like Pork Momos (spiced and steamed pork dumplings) or Yak Yeti Yak Lamb (quite literally the best lamb stir-fry on this planet). 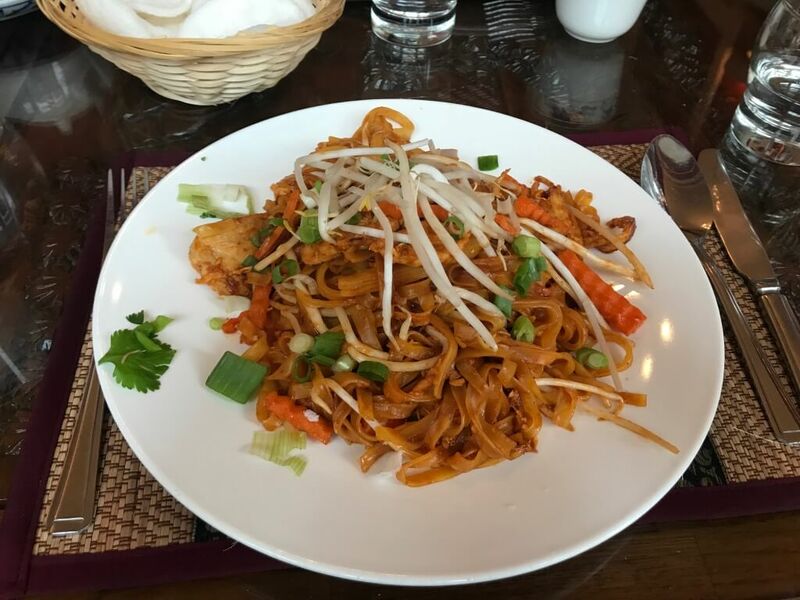 Salathai’s calm ambience, friendly staff and heavenly cuisine earn the restaurant the status of my favorite lunch spot in Bath. The restaurants unbeatable lunch specials draw Thai food lovers in from all over the city. The cool atmosphere and attentive staff provide a great escape from a busy day and often occupied my daydreams in class before lunch. While in Bath, I dined in a vast amount of the city’s restaurants, yet I couldn’t help but keep returning to this special place. Having made an effort to try a majority of menu, I would highly recommend ordering the Pad Thai or Panang. Both dishes burst with rich flavor and spice and still haunt my dreams. 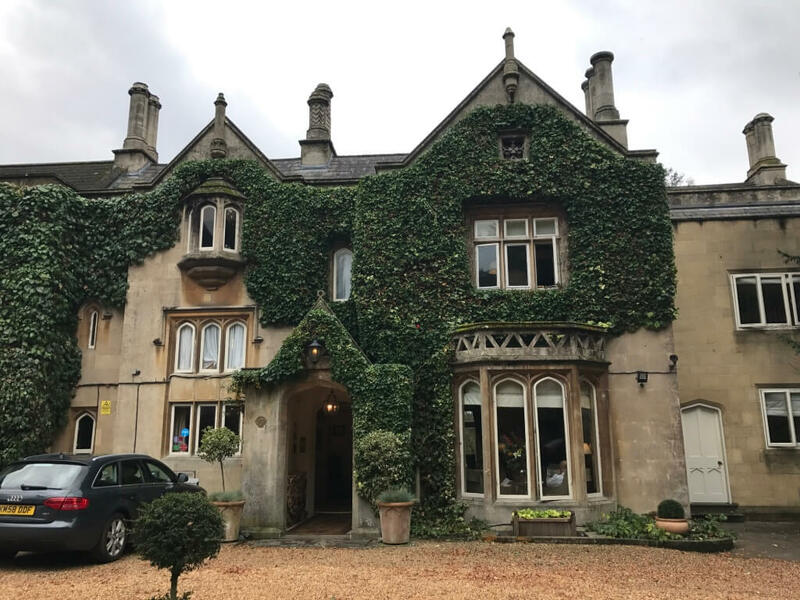 Although the Bath Priory Restaurant may be on the pricier end of the city’s dining options, it offers an unmatched gastronomical experience totally worth the splurge. “The Bath Priory provides the quintessential British ‘Tea Room’ atmosphere. It’s a little piece of paradise where you can relax and get away from the stress of the day and enjoy their classy ambiance and delicious, authentic tea and finger sandwiches,” Hani said. Located within a five-star hotel, the restaurant will glitz up your ‘gram with its upscale atmosphere that blends delectable food with garden views (think long walks in rose-studded edenic paths that would even make Jane Austen’s characters drool) and topnotch service. We found The Mint Room on our last night in Bath, a sad fact given the phenomenal quality of the Indian cuisine. However, I take solace in the fact that we found this gem of a restaurant at all. The Murgh Jalfrezi claims the title of my favorite dish, prepared using green and red peppers, fresh green chillies and onions. Order this with a side of garlic naan and you won’t regret it. Beware, however: the dish may scorch your tongue because of its fiery heat. 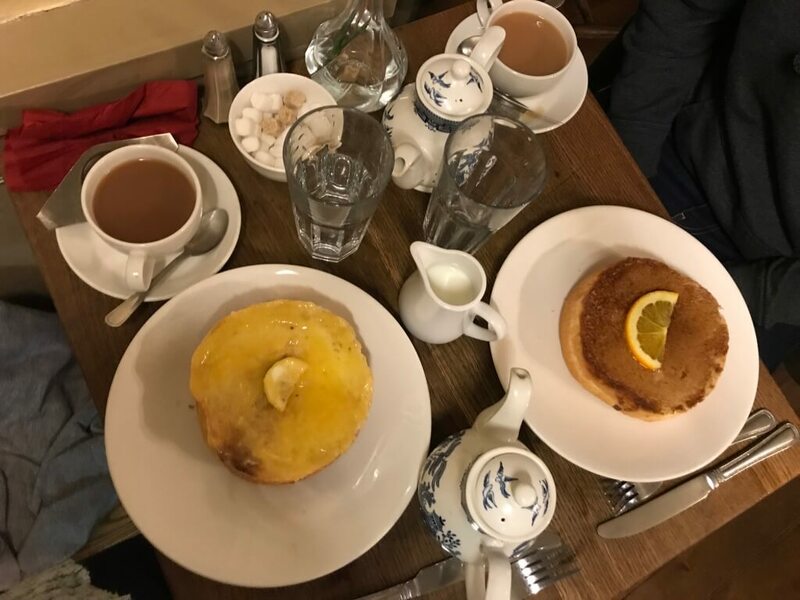 From within Bath’s oldest house, built in 1483, Sally Lunn’s serves its famous buns made from a secret recipe known only to the staff. This soft pastry literally melts in your mouth, providing the perfect companion to your piping hot tea. I ordered my toasted bun with a sweet cinnamon butter topping and my boyfriend ordered his topped with the most amazing lemon curd. Unable to decide which bun beat the other, we decided to simply call it the best bun experience we ever had. Those in show business would call The Raven a triple-threat. 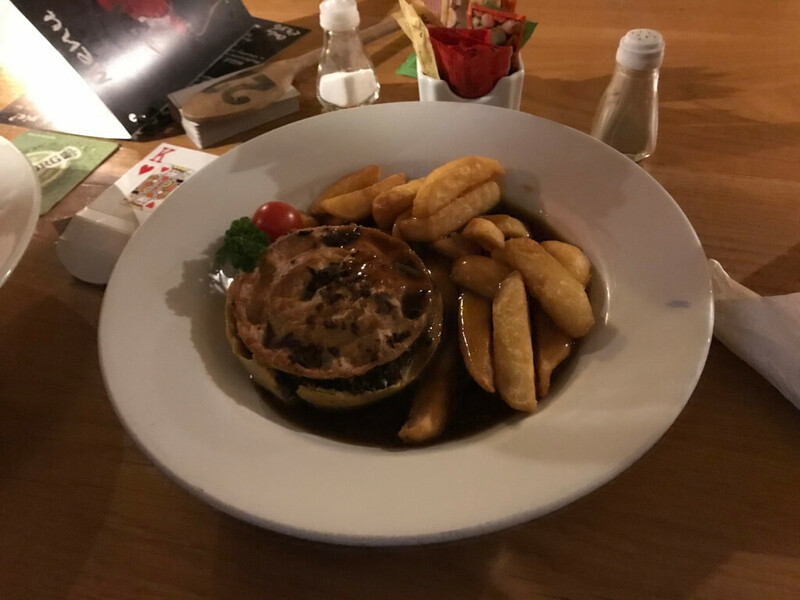 With distinctive beers on tap, tasty cuisine and the perfect pub atmosphere, The Raven gets many stars for drinks, dining and atmosphere. We stumbled upon this two-story pub a week before our semester in Bath came to a close. I really wish we found it sooner. Organized to facilitate meeting new people while you chow down, the tables offer a hub for conversation with strangers adding to the pub’s friendly ambience. We met the kindest British couple who told us all about their travel adventures. They make sure to visit The Raven every year when they come to Bath, which speaks volumes about the quality of this place. Have no fear if you consider yourself more of a lone wolf; bar seating offers solace and the friendly staff will accommodate if you wish to dine privately. Wash down your savory pie (like Beef and Raven Ale or Chicken and Mushroom) with a refreshing glass of ale before heading out into the cool Bath night. Another delectable lunch option, Phat Yaks provides fresh Nepalese take-out food to spice up your day. Choose the joint’s curry-in-a-hurry or one of their baguettes or wraps, each filled with a combination of vegetables, kebabs and flavors of your choice. As regulars, we received a stamp card. After eating 10 mouthwatering meals at Phat Yaks, we got to chow down on a free sandwich. This awesome reward system demonstrates the attention to detail and friendly attitude of the staff, who always struck up conversation with us. Pricier but heavenly, Raphael Restaurant serves more than exquisite French food, it serves a gastronomical experience that will leave your taste buds (and soul) dazzled. Sadly I never made it to France, but consider eating at Raphael Restaurant an ever so slight compensation for my lost dining opportunities. We decided to eat economically with Raphael’s Pre-Theater Menu, which allows you to dig into a two-course meal for £19.50. While this still makes for a pretty pricey meal for those eating on a student budget, you know what they say: Treat yo’ self.